National Aluminium Company Limited (NALCO), a Navaratna Company is the largest integrated Alumina – Aluminium complex of Asia with state of the art technology is having its plants at Angul & Damanjodi and the Corporate Office at Bhubaneswar, Odisha. The Company takes pride for its unflinching commitment to Corporate Social Responsibility through “NALCO Foundation” since the year 2010 and received many awards & accolades for its commitment for the stake holders at large at state & national level. Nalco Foundation is registered under the Indian Trust Act, 1882. NALCO Foundation is working unstintingly for sustainable inclusive development of the rainbow villages within a periphery of Mines & Refinery at Damanjodi, Koraput, Smelter & Power Complex at Angul, proposed area of business in Pottangi at Koraput and Gundem & KR Konda at Visakhapatnam & East Godavari district of Andhra Pradesh. NALCO Foundation is looking for committed, promising and passionate young professionals with brilliant academic career to join the foundation on tenure basis initially for a period of 05(three) years for manning various positions in the Foundation. Qualification: Full time regular course in Post-Graduation Degree/ Diploma in Rural Management/Rural Development/ Development Studies/ Social Work from reputed universities/institutes with not less than 55% marks in aggregate. Experience: Three years relevant post qualification work experience in rural sector/social work. Qualification: Full time regular course in Post-Graduation Degree/ Diploma in Rural Management/Rural Development/ Development Studies /Sociology/ Social Work/Social Anthropology from reputed universities/institutes with not less than 55% marks in aggregate. Experience: Two years relevant post qualification work experience in rural sector/social work. Qualification: Bachelor’s Degree in any discipline with cost accountancy (ICWAI) or chartered accountancy (ICAI). Experience: Two years relevant post qualification work experience. Experience with Tally-ERP-9 is preferable. Qualification: Full time regular Bachelor's Degree in Engineering or Technology in Civil from reputed universities/institutes with not less than 60% marks in aggregate. Experience: Two years relevant post qualification work experience in rural sector is preferable. Qualification: Full time regular course in Post-Graduation Degree in any discipline from reputed universities/institutes with not less than 60% marks in aggregate. Experience: Two years relevant post qualification work experience in rural sector/social work. The experience in MHU operation is desirable. (i) Candidates will be short-listed for the group discussion subject to fulfilling the criteria as specified. The candidates who will qualify the group discussion will only be called for personal interview in a ratio of 1:10 from the group discussion score. Based on the performance in the personal interview taking into account the organizational requirement, the candidates will be selected. No TA/DA to be paid to the candidates for written test and/or personal interview. (ii) However, the management reserves the right to raise the minimum eligibility standards/criteria and/or to restrict the number of candidates in the written and/or personal interview, if so required. (iii) The final placement of the candidate is subject to their medical fitness and other joining formalities. The eligible candidates shall submit the dully filled in and signed application in the prescribed format. The applicants have to bring the original certificates for verification at the time of personal interview. Documents in support of experience if any may also be submitted along with the application. The application should superscribe the post applied for.  The application should be as per the format indicated above. 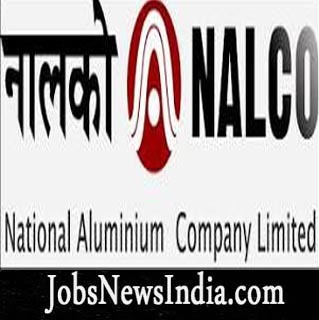 The candidates may download the said prescribed application format from the career section of NALCO website www.nalcoindia.com. The applications completed in all respect should reach Chief Operating Officer, NALCO Foundation, HRD Centre of Excellence, NALCO Nagar, Chandrasekharpur, Bhubaneswar – 751023, Odisha by ordinary post only. No application will be received by hand. Last date of receiving application is 13.04.2017.